celebration that went on from Friday night to Tuesday (my actual birthday) and I couldn't feel happier and more thankful to God. Thank you all so much for the sweet and very loving birthday messages. 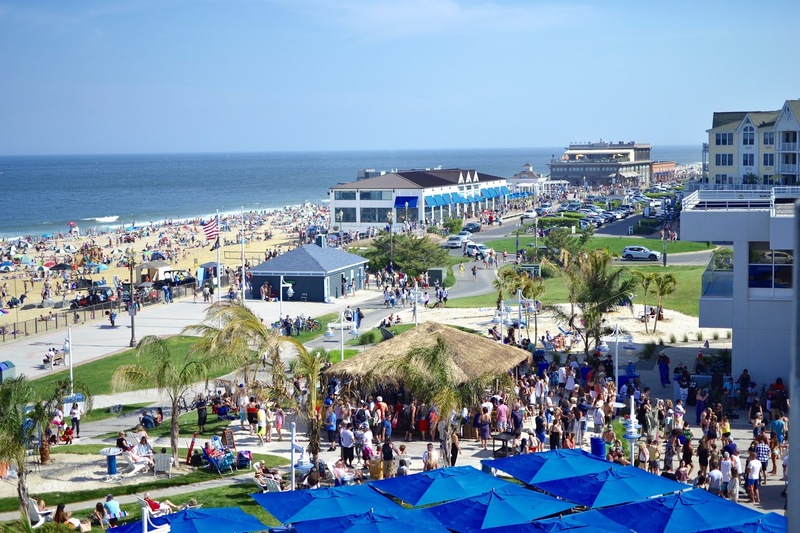 Part of that celebration was a 2-day stay at the Ocean Place Resort & Spa in Long Branch, NJ, to say we had an amazing time is an understatement. It was exactly what the hubby and I needed and it was just about 45 minutes from home. It was the perfect destination for a little fun birthday getaway. 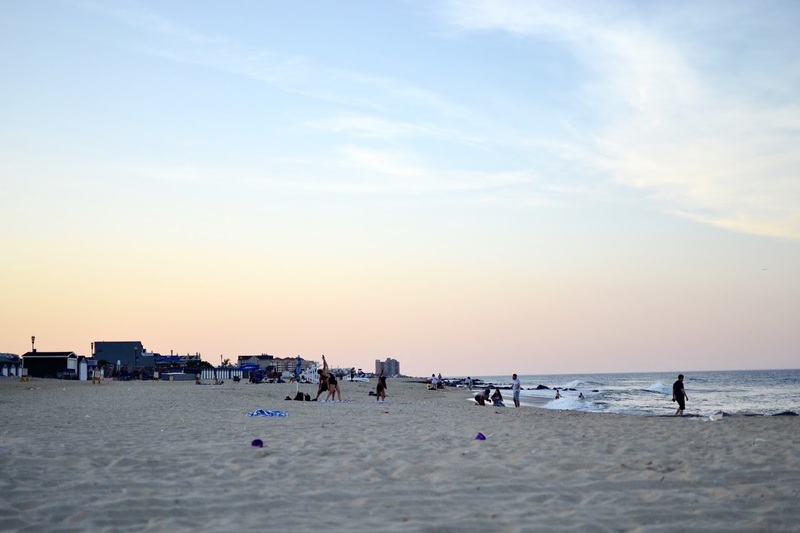 If you've never been to New Jersey you probably has a whole different idea of what the "Jersey Shore" is like thanks to a certain reality show;) But it's not like that, New Jersey actually has some really nice beach spots and one of the most popular ones is Long Branch Beach. We come to this beach all the time for its amenities and great entertainment. When thinking of a nice birthday staycation I immediately knew I wanted to stay at Ocean Place. We stayed here last year for the first time and we loved it. If you are looking for a fun, relaxing staycation idea I recommend you visit Ocean Place. 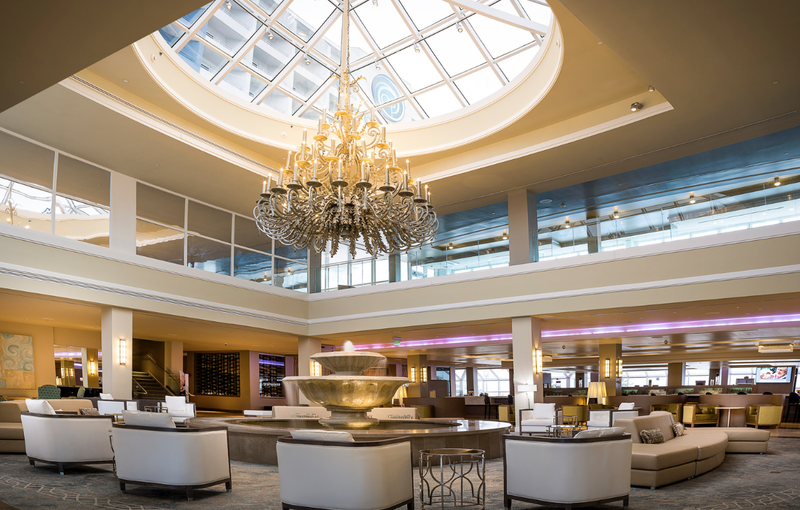 There is so much to do in the area and inside the hotel itself. 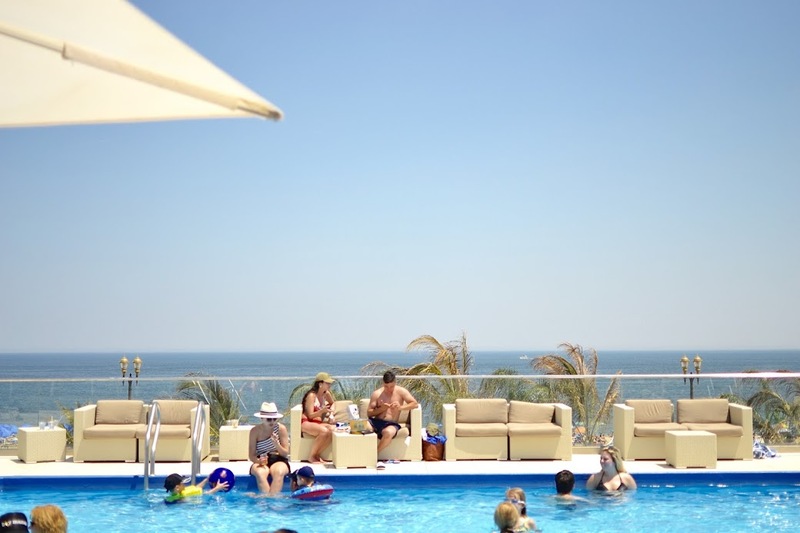 You have some great restaurant options such as Seaview Restaurant and Lounge for dinner and lunch options, the Tiki Bar outside the hotel for music and a great time, Aquaviva Bar and Ice Tiki for gelatos, drinks and snacks. We were here for one night and two days from Sunday to Monday and we had such a good time. We stayed at an ocean front king room and it was stunning. The room and bathroom was a really nice size, the beds and pillows were extra comfy. They even had a nice bottle of Prosecco waiting for us after out first day there. Thank you OP! Our balcony view was everything, we could see the beach, the pool and the boardwalk and shops at Pier Village. What I love most about the location is that there is a great variety of restaurants at all price points at walking distance from the resort. The area is called Pier Village and it has a great amount of shopping, restaurants, bars and it's just so beautiful to look at. It's great for couples and families alike. On the first day we hung out at the pool for a couple of hours, had lunch there (chicken quesadillas are bomb!) along with the most delicious pina coladas. We loved the rooftop pool but they also have an indoor pool for colder months that is really nice too overlooking the boardwalk and beach. We watched the sunset from the private beach which is right outside of the hotel. The sky was a gorgeous pastel color and it was just a nice way to connect after a crazy stressful week. We headed back to the hotel to shower and change and ended up at The Wine Loft for tapas and sangria, the red sangria is a must have! After that we headed to the hotel to play pool. 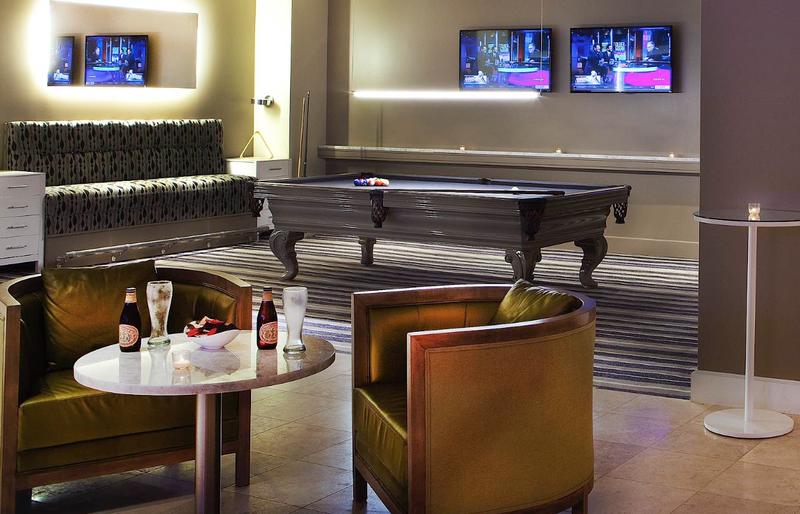 I love it when hotels have a good amount of entertainment for their guests, the pool table is right by the lobby along with a giant chess game. The lobby is absolutely stunning and perfect for photos. On the next morning, we woke up pretty early to order breakfast in bed, I am totally not a breakfast person but bring it to the bed and I am in:) It's so nice to get away from the routine and treat yourself. Even though I thought of the kids every second, it's a priority to take time out for yourself and your spouse. I am very lucky to have my mom who is always willing to babysit. After breakfast we got into our swimsuits and stopped by the Tiki Bar, which is a very popular spot at the hotel. It's actually a really vibe and we love hanging out there even when we are not staying at the hotel. There is always nice music and they had a live band playing the best Reggae that Sunday when we arrived. This year I told myself that I would make it a point to do more staycations and get to know New Jersey a little more. I am really excited to search for more little gems like this one and can't wait to visit Ocean Place Resort & Spa soon! We truly have some amazing spots here in NJ that I would love to check out with Dave and the kids. 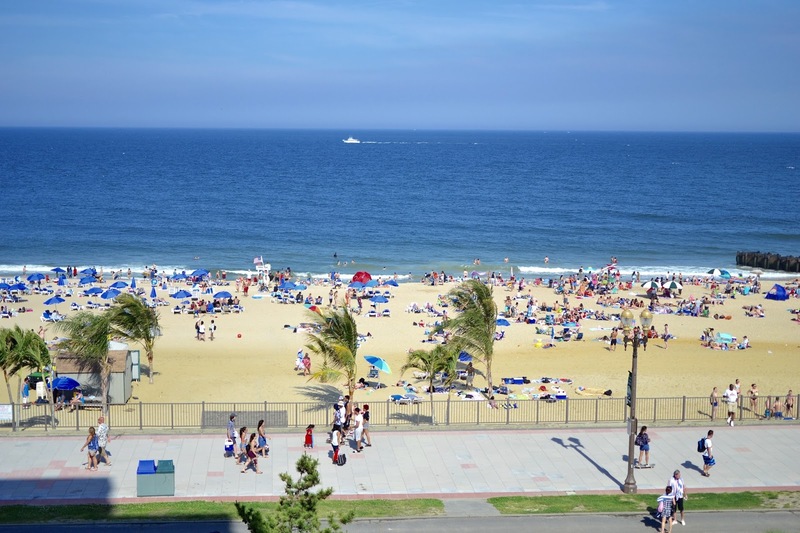 If you are looking for ideas on what to do in New Jersey the Ocean Place Resort & Spa is the perfect option for a nice weekend getaway. You truly feel like you are in an island, paradise found. It's nice to have these little gems right at home.